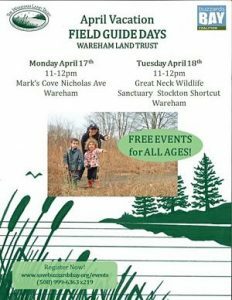 Join us for Field Guide Days during April School Vacation Week! 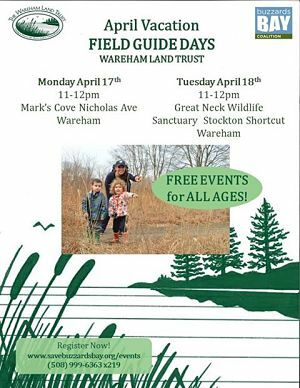 On Monday the 17th and Tuesday the 18th, we will explore two local properties and fine tune our Field Guide skills. Bring your favorite field guide and share your techniques with others! Or come learn some tips for beginners- Hope to see you there!